We’ve partnered up with Ozora to bring you the all new Ozora Street. 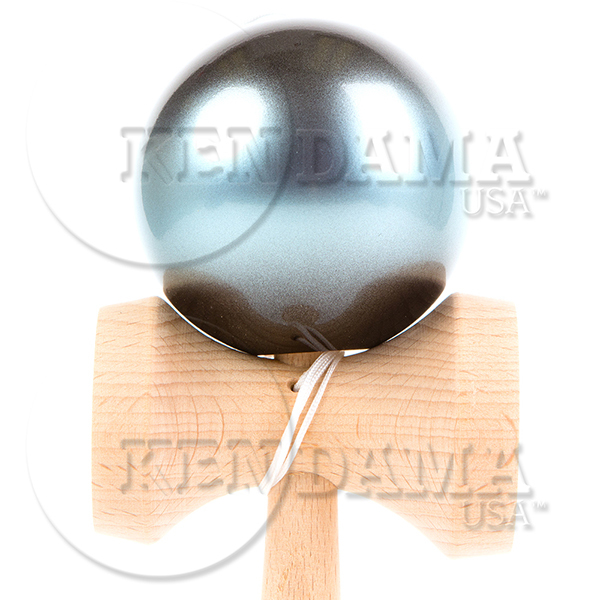 New to Ozora’s staple arsenal of products, the 2015 Street Kendama features a stained ken and a matte semi glossed black tama. Laced using an Ozora Red kendama string, this black on black combination is sure to be a classic and favorite among any collector. Hang out with Jake and KAMEYO in the Kengarden for a chill session on the Sakura edition Ozora. 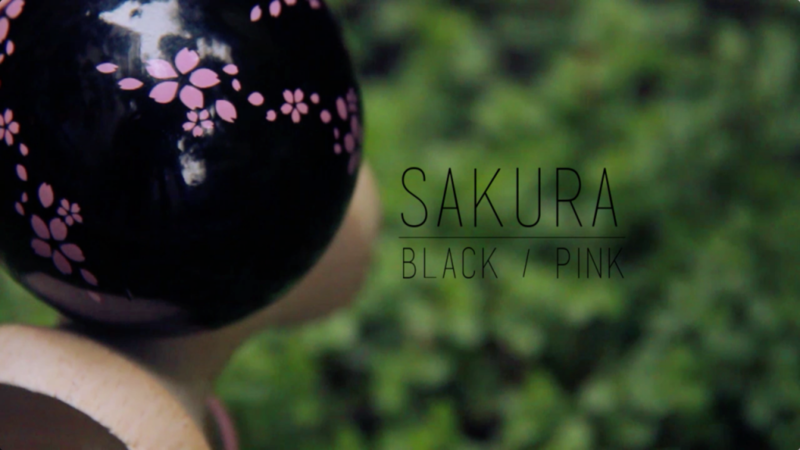 The Sakura is part of the Ozora Specialty series. 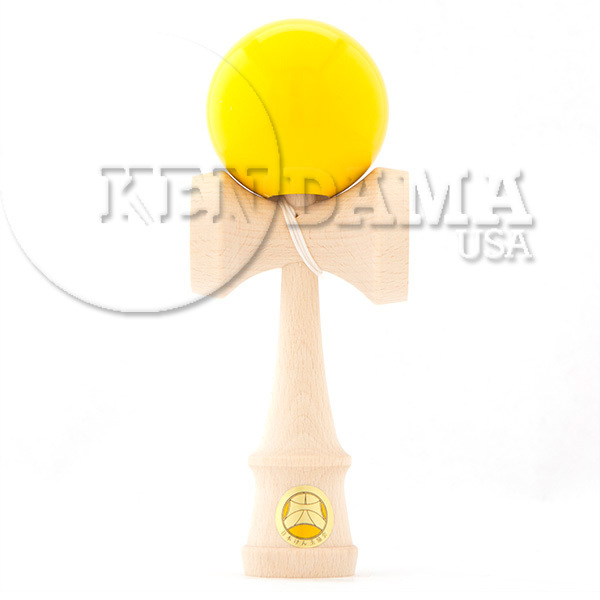 All of these kendamas carry new designs and styles while keeping the top quality Ozora is known for. Jake Wiens is well known for his amazing video work paired with some of the most innovative tricks in the game and this edit does not fall short! 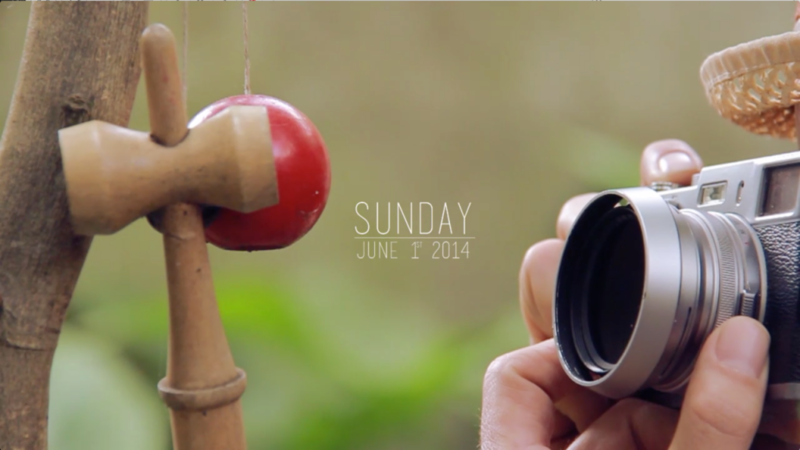 Sit back, relax, and enjoy another amazing edit from The Kengarden! Get your own Sakura Ozora HERE! New Galaxy colors from Ozora available now! 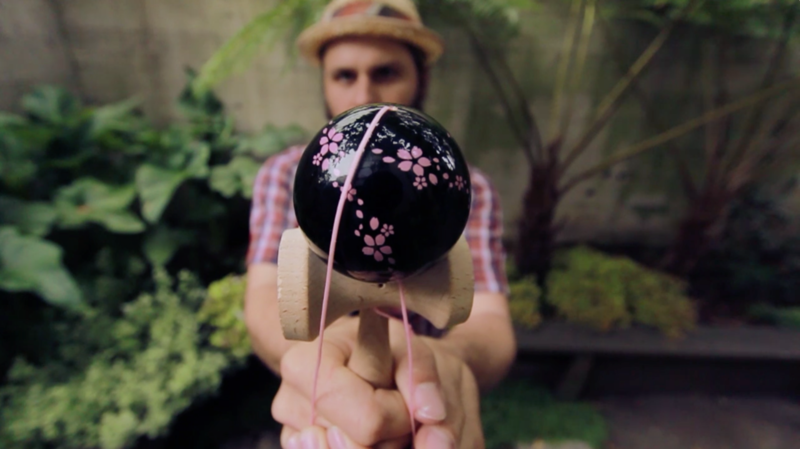 Ozora released 2 new Galaxy colors this year: the Galaxy Pink Kendama and the Galaxy Green Kendama. We’re happy to have them both available in our store now! 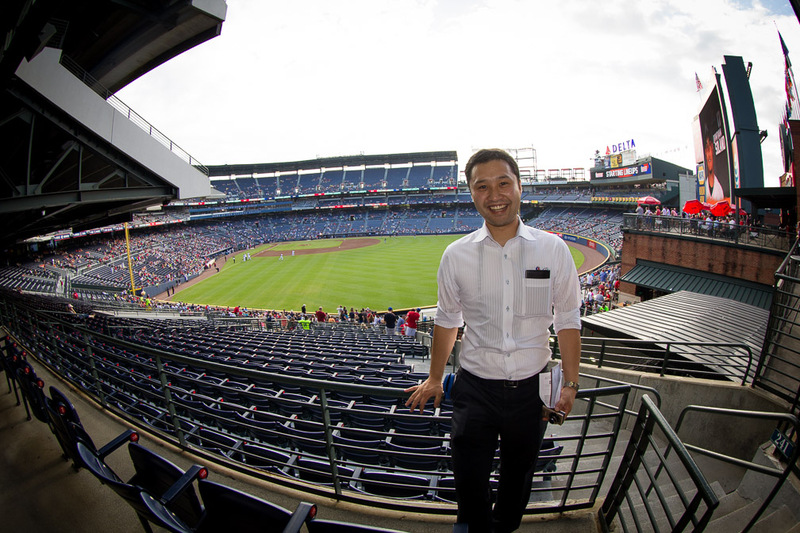 See them for yourself HERE. 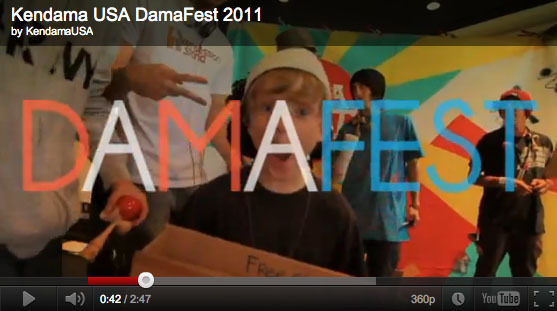 It’s time for another awesome Kendama USA contest! In the Doubles competition you will have to choose wisely, as you’ll be working with a friend. You will both play simultaneously, and as always, we encourage you to get as creative as possible. You will be judged on synchronization, creativity, difficulty of tricks, location choice and the overall quality of the edit. Remember the whole point of the competition is to get together with your buds and have FUN! 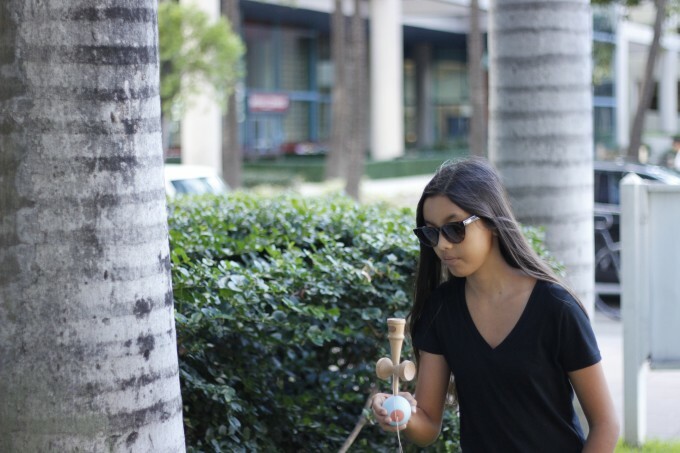 Lets get stoked on Kendama again before summer is over. • You must choose one teammate in your edit. You cannot submit another edit with a different Teammate. • Creativity and new tricks is a major plus. • The more synchronized you and your teammate are on each trick, the better. • The tricks must actually be filmed simultaneously. No editing cheats! • Your edit MUST be 1:30 or less. If you go over the time limit, it is automatically disqualified, and we will be sad with you. • Deadline is Sunday, August 5th, at 11:59 pm PDT (pacific daylight time, westside!!). Any edit submitted after the deadline will not be accepted, and great sadness will be felt. 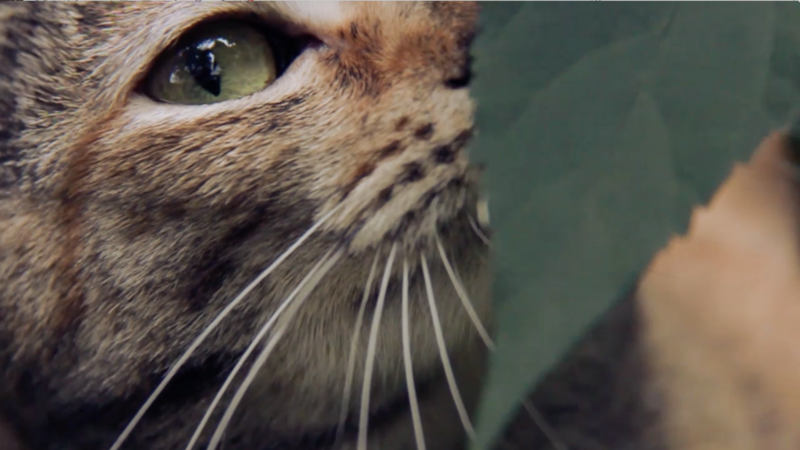 • Upload your edit to YouTube or Vimeo. 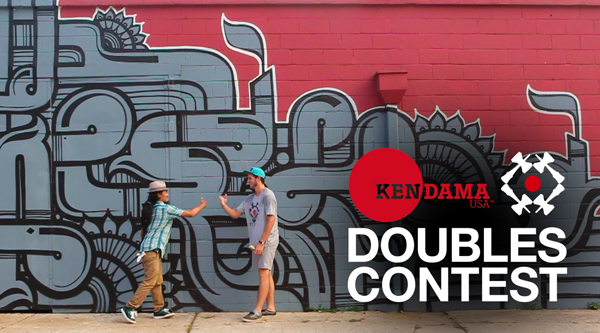 You must include “Kendama USA Doubles Contest” in the title. • Send an email to customersupport@kendamausa.com with the edit URL link, names of both players, contact info, and a mailing address for prizes. There are some other special prizes being given away for runner up edits, but you have to enter to find out!!! 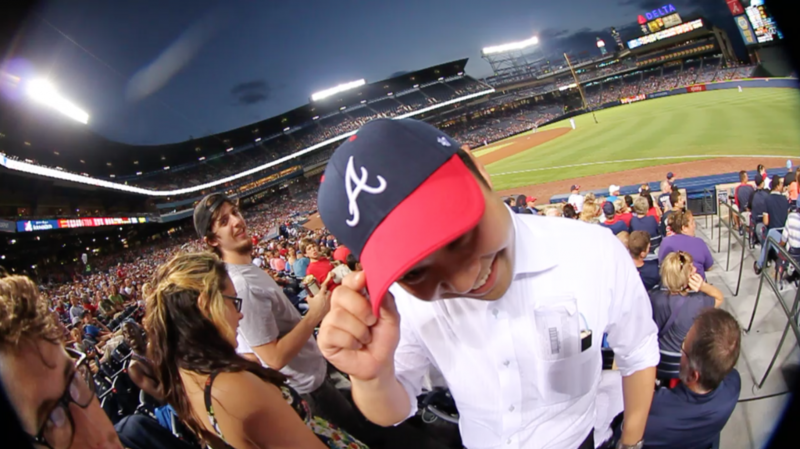 Grab a friend and start filming. Have fun!!! UPDATE. WINNERS HAVE BEEN ANNOUNCED!!! The Emperor is in a class of its own. 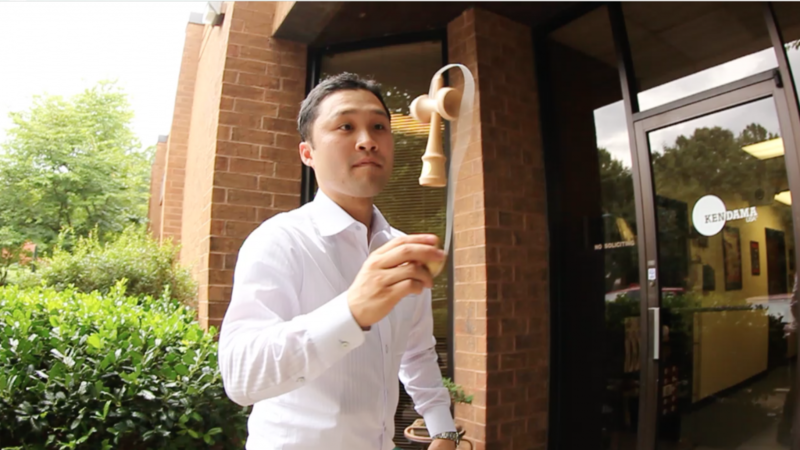 Made by Ozora, this GIANT Kendama dwarfs all others. 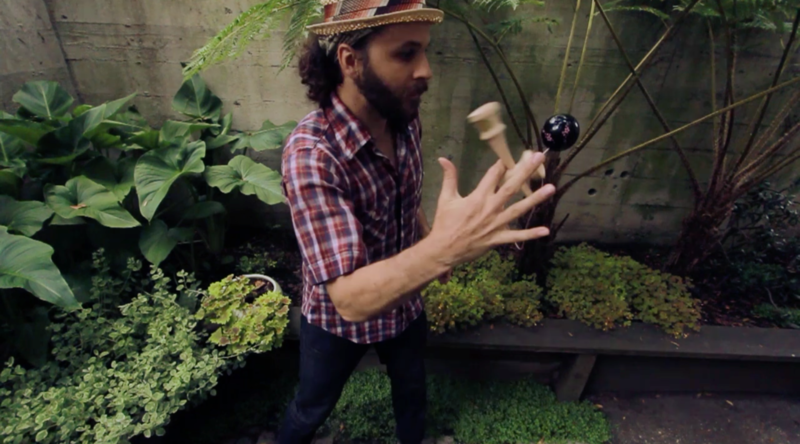 It’s an amazing Kendama for performances and those brave enough (and strong enough) to take on this challenge. The Emperor stands approximately 34.5 cm tall (about 13.5 inches) and weighs nearly 2 pounds. To give some scale, see the image here. 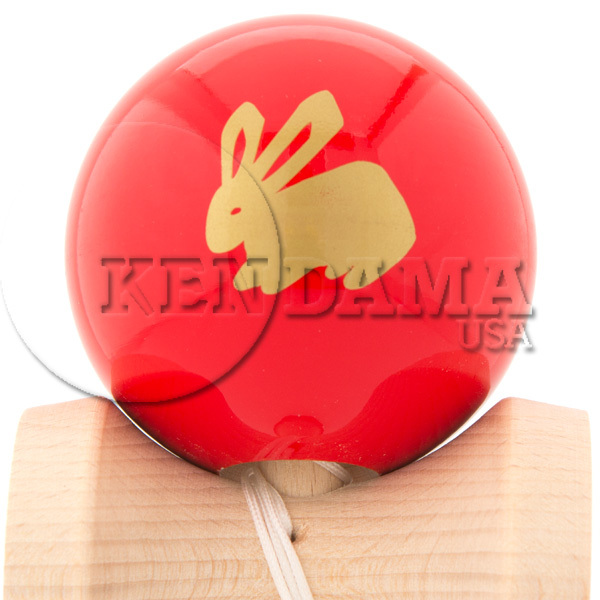 The Kendama on the left is the standard red Ozora. 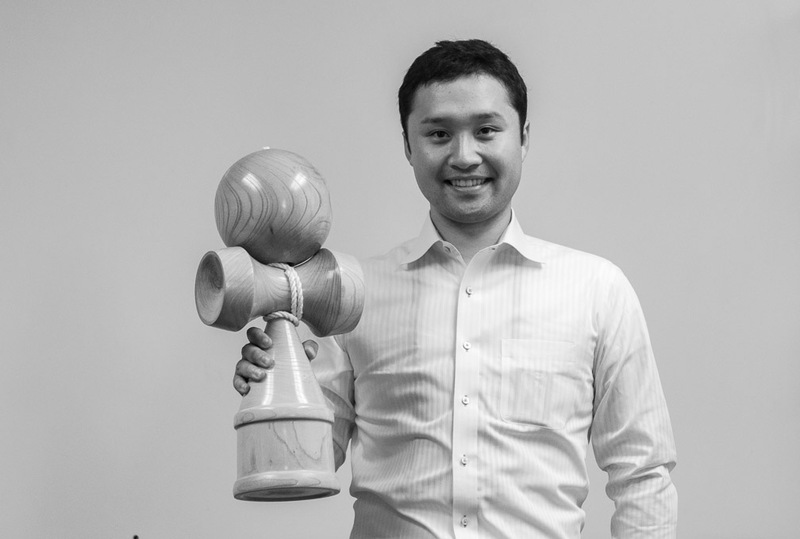 The Kendama on the right is the Taiyo Jumbo Ozora. Ozora Galaxy Green available now! 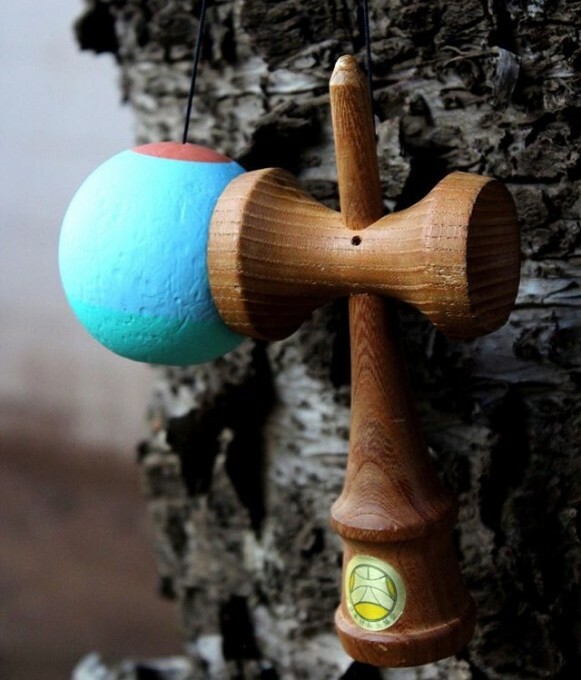 The beautiful new Galaxy Green Kendama from Ozora is available now. Check it out in the STORE!! !